What do you do when you're all tired out from sightseeing and need an afternoon pick-me-up? Maybe a glass of sparkling wine and a plate of small bites? Head to Enoteca Wineconcept, a beautifully constructed wine bar in Rome, for a glass of vino and an app. What makes this wine bar special is its large selection of wines, emphasis on organic, local and DOC wines and the friendly staff they have on hand to ask about your preferences and recommend a nice choice. The walls are covered in shelves of wine, coming from all regions of the world and Italy. Because it was created in partnership with the Italian Sommelier Foundation, this wine bar also promotes wine culture from all over the world. Next to the bar and small table seating are also bookshelves with reference books about wine that make fun conversation starters. They have an extensive list of wine by the glass, with everything from sparkling, white, red, and rose, with even more options if you want to get a bottle. 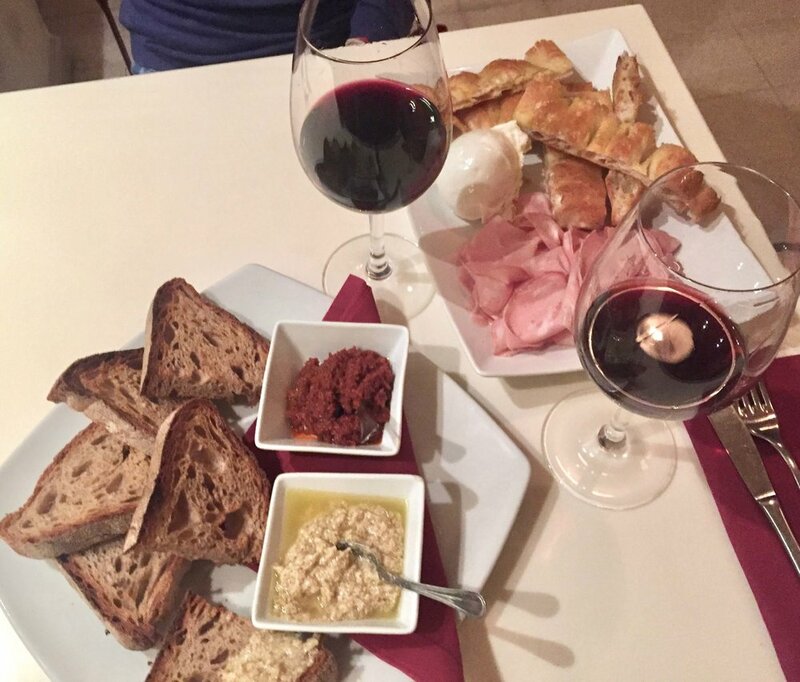 It’s also a great aperitivo option because they have a daily “small plate” menu that you can get for €5. When I ordered it, it was pizza bianca, mortadella and mozzarella di bufala. You can also try some of their hot plates (appetizers and other dinner dishes), like the bruschetta with roasted tomato and artichoke spreads for a vegetarian option. The decor is a mix of modern and old, with the original arches and brick walls showing through, but with clean-lined tables and a stylish atmosphere with fun music and decor. 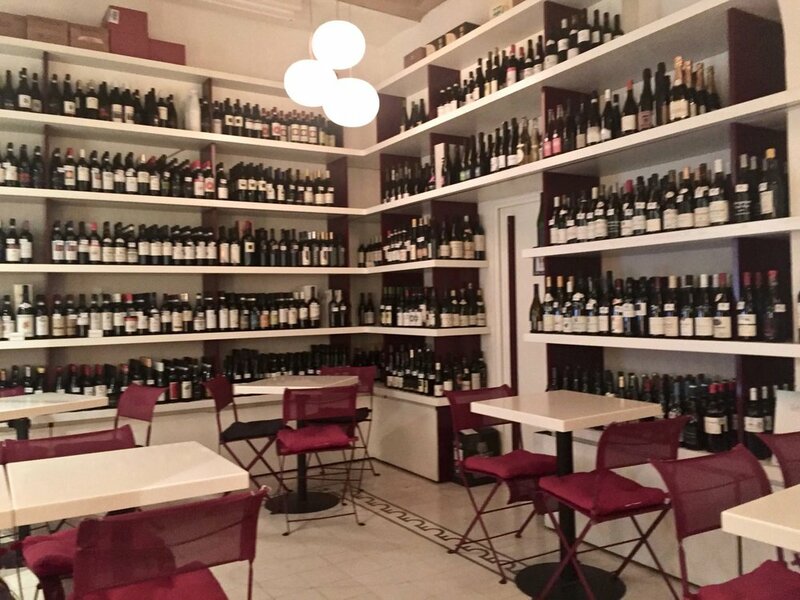 This wine bar has everything you could ask for and is located steps away from Rome’s most famous monument, the Colosseum. If you want to start the night with aperitivo and a couple glasses of great wine, and finish with a loop around the colosseum (absolutely breathtaking when it’s lit up at night), well, no one’s stopping you.